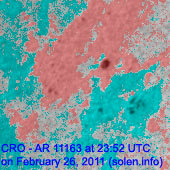 Last major update issued on February 28, 2011 at 05:20 UTC. 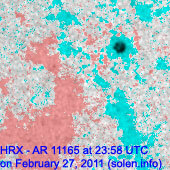 The geomagnetic field was very quiet on February 27. Solar wind speed ranged between 282 and 329 km/s. 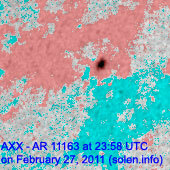 Solar flux measured at 20h UTC on 2.8 GHz was 90.4 (increasing 9.1 over the last solar rotation). The planetary A index was 2 (STAR Ap - based on the mean of three hour interval ap indices: 1.8). 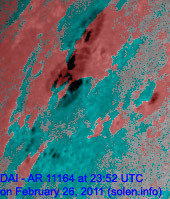 Three hour interval K indices: 10001101 (planetary), 10001110 (Boulder). 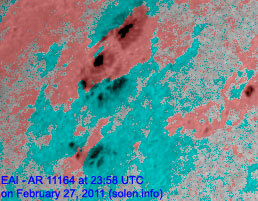 Region 11164 lost some of its magnetic complexity as the magnetic delta configuration weakened. There is still a chance of an M class flare. 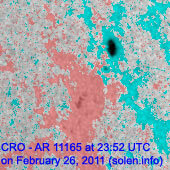 Flare: C4.2 at 03:55 UTC. Region 11165 lost its trailing spots and was quiet. 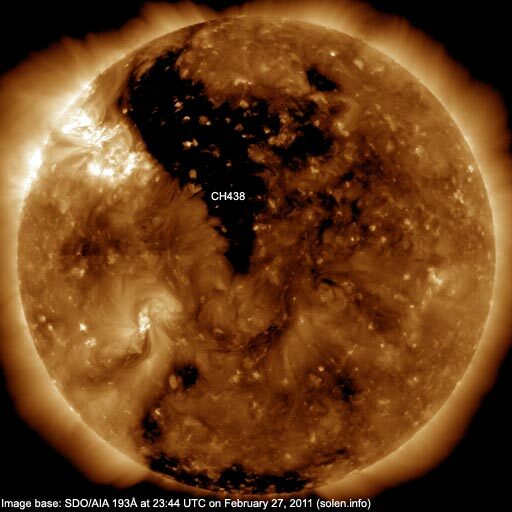 A recurrent trans equatorial coronal hole (CH437) was in an Earth facing position on February 25-26 and has since then decayed and closed. Another part (CH438) of what was a single coronal hole during the previous rotation, will be Earth facing on February 27 - March 1. CH438 is a large trans equatorial coronal hole. 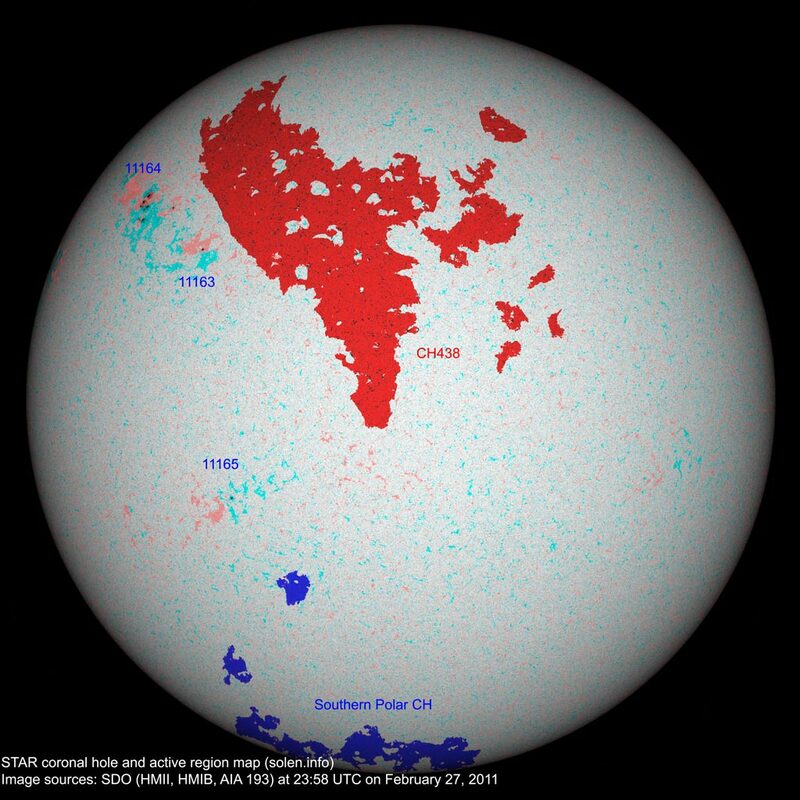 The geomagnetic field is expected to be quiet on February 27-28. Quiet to unsettled is possible on March 1 due to effects from CH437 and quiet to minor storm on March 2-3 due to a high speed stream from CH438.